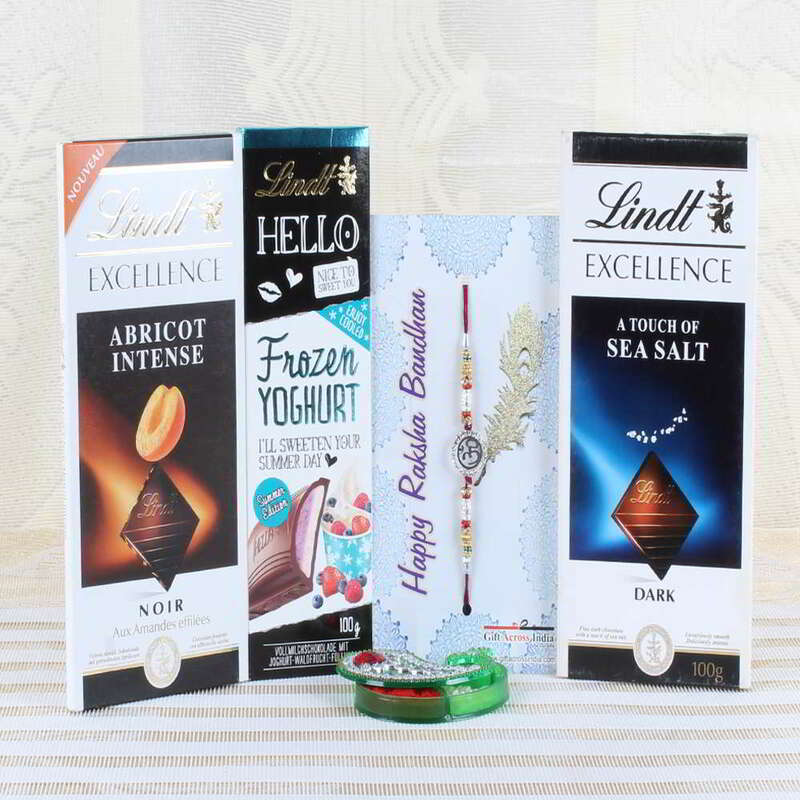 Product Consist: Lindt Hello Chocolate (Weight: 100 gms), Lindt Excellence Sea Salt Chocolate (Weight: 100 gms), Lindt Excellence Abricot Intense Chocolate (Weight: 100 gms), Om Rakhi along with Roli Chawal Container. 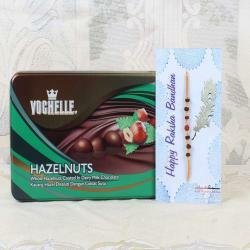 Rakhi is the best celebration time for both sister and brother, and it is great chance to spend much time with your brother or sister. It is an excellent festival which witnesses the immense love between sister and brother. 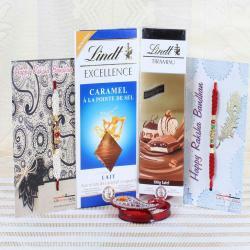 Send Ohm rakhi with chocolates for your brother and share them about your lifelong bond of love. There are plenty of Ohm Rakhis with a variety of embellishments to select from. No matter where your lovable brother resides, you have to order the ohm rakhis for same day delivery and then surprise your dearest brother with a golden rakhi. 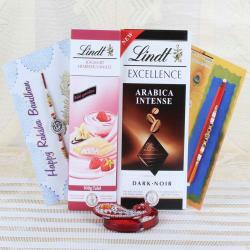 It is the best festival, so online sites have come up with the best rakhis for every relationship. 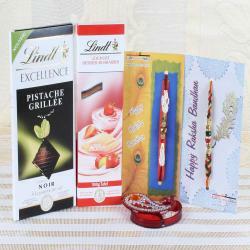 Product Consists of: Lindt Hello Chocolate (Weight: 100 gms), Lindt Excellence Sea Salt Chocolate (Weight: 100 gms), Lindt Excellence Abricot Intense Chocolate (Weight: 100 gms), Om Rakhi along with Roli Chawal Container.